The mold specialists at Abatement Solutions Inc. have worked for years serving commercial clients throughout Atlanta, Georgia, and nearby communities, freeing their buildings from dangerous mold contaminations. If you suspect you have mold growing in your Atlanta, GA, business or residential complex, then let our inspection staff come determine whether you do, in fact, have a mold problem that threatens your property or the health of its occupants. You can rest assured that we won’t use scare tactics like some other mold abatement companies. 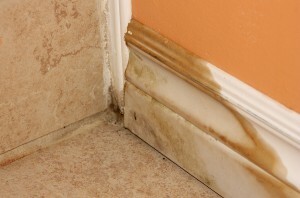 Instead, we’ll clearly explain the extent of your mold problem, give you an informative consultation about what danger it may pose, and suggest an effective course of action that remediates the mold to ensure that it won’t return. It’s our straightforward approach that explains why we receive so much business based on the referrals of realtors, developers, and inspectors who respect our integrity and the thoroughness of our work. To give you complete peace of mind that your building will once again be a safe environment, we even guarantee that, after our mold abatement work is done, an independent lab will provide you with a certification letter verifying that the mold levels in your building have been returned to healthy, industry-accepted levels. After our mold abatement work is done, we’ll reconstruct the damaged parts of your building – such as drywall, baseboards, and framing. Finally, our team will apply a remarkable, preventative treatment to inhibit future mold growth, which comes backed by an outstanding 10-year warranty. Contact Abatement Solutions Inc. today for mold abatement services that can make your Atlanta, GA, business safe from unhealthy mold contaminations.